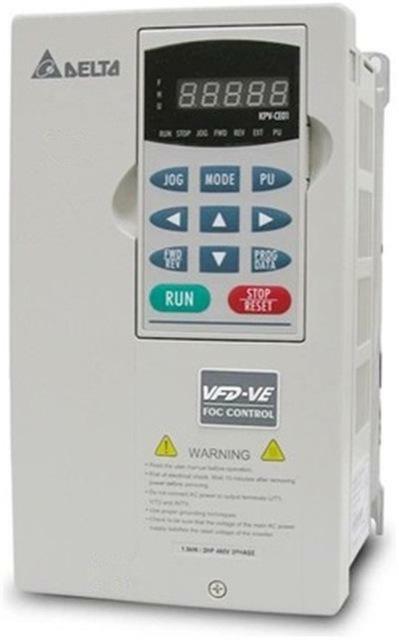 This series adopts FOC (Field Oriented Control) vector control method. It can be used not only in speed control but also in position control just like a servo motor drive. And multi-function I/O terminal is abundant to be set to meet users' various application needs. In addition, it supplies PC monitor software based on Windows for parameters management and dynamic monitor. It gives a good solution for load regulation. It can output 150% of rated torque at zero speed, and it can have "point to point" and relative distance control function in position control, therefore it is the best choice for senior application in industry control. Export Markets︰ Power transmission equipment, elevator, crane, CNC tooling machines, extrusion machines, injection molding machines, and auto-storage and retrieval systems.